Two women I know, one is a dear friend, the other is a new acquaintance both just got back from the Middle East—Jordan to be exact. And even though these two women don’t know each other, their accounts of the region are very similar. Especially when speaking about the women of the region including Syrian “guests” living in Jordan. Jordanians refuse to call the Syrians refugees…they are guests in their country and are treated as such, says good friend Kerry Connelly. Women are empowering other women, even in the direst of conditions and for this, we at TWK are thankful and inspired. Kerry Connelly (Jerseygirl, JESUS) and I have known each other for a few years now. We met in a Facebook group for bloggers and we’ve been connected every since. 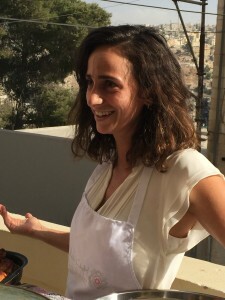 Her writing opened up a door for her and other progressive Christian writers to visit Jordan and then blog about their experience. (You can read Kerry’s recap here.) When she returned she said the experience was life changing and her eyes and heart opened to see Christianity practiced from a non-Western point-of-view. What Maria and her sisters do don’t just impact a few women; they’re impacting whole communities. Empowering women has been proven to correlate with healthier thriving communities and this is exactly what the world needs. 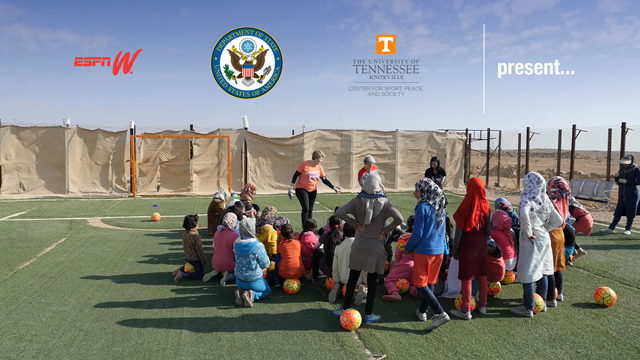 When film producer and director, Shana Vassilieva of Happy Shiver Productions contacted us about supporting a women’s empowerment documentary within the Syrian camp in Jordan, it was an easy yes. You can read TWK contributor Shannon Carlisle’s review here. 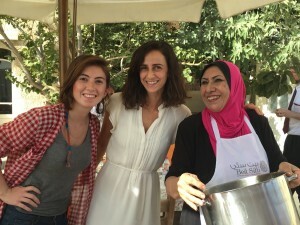 Shana has captured the stories of incredible women empowering women in Jordan and Egypt through sports. According to SyrianRefugee.eu, 4.6 million Syrians have fled the country and 6.6 million are internally displaced within Syria. A 2015 census report states that approximately 1.2 million Syrian refugees have settled in Jordan. Shana and her crew were able to film at two refugee camps. One of which is in the middle of the Jordanian desert near the boarder of Syria called Za’atari. With just under 100,00 inhabitants it is the third largest city in Jordan. Shana said she felt especially honored to be able to communicate the scope of the female perspective within this crisis. Ardah with young Syrian girl. Jordanian Badminton champion, Dima Ardah, with the help of the Norwegian Refugee Council is bringing hope to these camps. Not only is she introducing sports to the young girls and women there but encourages the women to share their stories and their hopes for their families and country through art. Dima along with retired USA National Soccer Players, Mary Harvey and Lori Lindsey, and Amy Poehler’s Smart Girls co-founder, Meredith Walker, share the idea that anything is possible. Ardah along with USA National Soccer Players, Mary Harvey and Lori Lindsey. 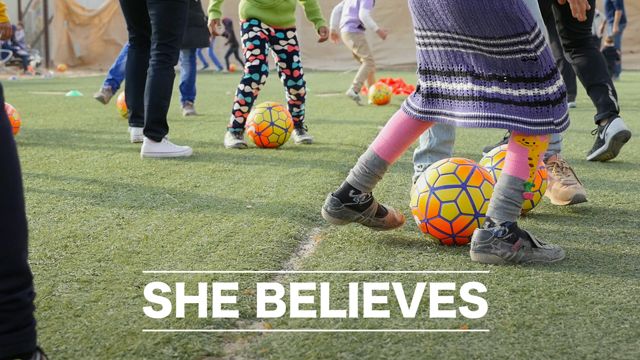 Click here to watch the documentary, She Believes: The Dima Ardah Story. 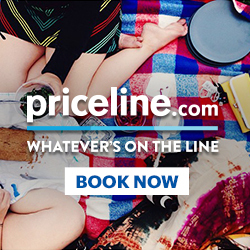 Click here to watch the series trailer. A big thank you to Kerry and Shana for capturing and sharing these stories.